Review: Excellent service, fast shipping. Thank you!will be again! Review: I'm very satisfied with my hair, great service and fast delivery. My hair looks stunning, one very happy girl here!! Thank you will definitely come back!! Review: I love this hair. My shipment came very quickly and the hair is beautiful. I will definitely be purchasing from WowLacewigs.com in the future!! Review: Absolutely in love with my hair! The curl pattern and texture was exactly how I wanted it to be and it looks exactly how it does in the picture posted. I had it installed on Friday and have been loving it ever sense :) There is very little shed and you can simply wet it and go out the door. I recommend putting setting lotion and foam wrap in the hair. I will be ordering from this company again! Review: I just received my hair about an hour ago. It looks just like the picture. The bundles are full. It doesn't smell weird. I'm going to seal my wefts tonight, have it installed Monday. I'm super excited. Lyn was professional and answered all of my questions, as well as, keeping me up to date on my shipment. So far so good. Review: In LOVE with the quality of this hair! The hair was clean and very soft once it arrived. I can't wait to install. Review: Ordered hair on Friday received it on Monday. hair is so soft and no smell. Haven't installed yet. this seller even called me to make sure I had received my product and that I was satisfied. will definitely be ordering from this seller again. Review: This seller has great communication. The bundles arrived faster than expected and are absolutely gorgeous....true to length, no thinning ends and a no smell. The bundles held its texture after cowashing and no shedding whatsoever. After installing I will leave another review. Review: I looooove this hair!! Shipping was SUPER fast. Immediate to touch this hair felt great. I lifted the color and washed and deep conditioned it and it is still amazing. A little bit of shedding but seems normal. Over all I love it! second time purchasing this Peruvian loose wave hair and I love it. 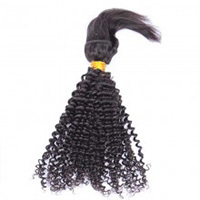 Review: This is my second time purchasing this Peruvian loose wave hair and I love it. The curl pattern is beautiful and returns after washing and straightening. I ordered 14, 16, and 18 inches and I reused my closure from my last order. Shipping was fast and Lynis always quick to respond to questions. I love love love the hair. Review: I love love love the hair. Its really soft. I washed it and the pattern comes back really easy. The customer service was excellent! I will order again. Review: Customer service was great ! Recieved hair within 4 days. No split ends. The hair smells good. No shedding minimum tangles! Beautifulll hair omg. I rate this hair 4 stars because i havnt gotten it installed or co washed but so far so good ! Thank you so much Lyn ! Review: This hair is worth every penny. Make sure to keep it moisturized and tangle free by combing it out and get it installed properly to be happy with it 100%. I definitely am! Review: Purchased hair and also needed closure, had a upcoming trip and they shipped me the hair faster than US places. I had my hair within days, got my install done, and very happy with the transaction. Love the hair! Review: I am beyond over joy!!!!! My hair is flawless, soft, great condition, great patterns, no smell, and No Shedding!!! My hair came in two days after and my order and oh let's not forget the great customer service!!! Thank you so much!!! Plus my hair was install by my sister Brittany Glover who is actually model on the bottom left side. Proud buyer will return and spread the word. Review: Let me start by saying thank you Lyn, your customer service is AMAZING, you responded to all my messages and on time too. 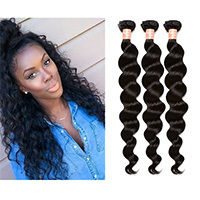 The hair is just beautiful and I have been shopping on Internet website for 4years and so far this hair has one of the best ends I've seen, it is thick from root to tip! I only gave 4stars as I have not yet installed it, once I do I will leave a 2 week review on how the hair is and maybe upload a picture for you. Last thing the curl pattern is BEAUTIFUL! Definitely one of my favourites. now. PS: this review is for all the orders linked to this purchase so I don't repeat it 4 times, all the hair ordered were the same great quality. Review: I love this hair so much... The seller made sure my hair was shipped on time for tge date. There was a problem at my local post office so I got it the day of instead of later day. Overall the hair is excellent wnd i love the curls. Does shedd a little bit but overall good. The only problem I have is when you wash the hair the curl pattern does change to a looser wave. But I still love the hair and I will definitely order again. Review: the seller replied quickly. lyn . she was helpful and I got what I requested. the hair feels good....it has a light smell but nothing major. I haven't install the hair as yet so 4stars for now. Review: Very fast shipping! I ordered the hair on a Monday night and received it on Thursday! Communication was great! I chose the wrong shipping option at first but I was contacted by phone and email on how to change it. The hair is very soft! My only concern was the color was not that natural brownish color. Instead it was jet black. I wasn't planning on dying the hair, since the natural color matches my hair color. However, I will be ordering again. Awseome seller , awesome shipping great communication ..
Review: Awseome seller , awesome shipping great communication ..
Review: GRRRRRREAT PRODUCT,CUSTOMER SERVICE AND PROMPT DELIVERY. ORDERING AGAIN WITHIN THE WEEK. THANK YOU, THANK YOU, THANK YOU. Review: Received the order in 4 days. Beautiful hair my daughter loves it. This hair us absolutely beautiful. Review: I received my bundles very quickly and got a call asking me to do a review. I appreciated the concern for the customer. I haven't installed hair but it is very soft with no smell. I will be ordering from this vendor again. Thanks! Review: Completely satisfied! bundle wasn't thin at all, no shedding, very soft and curly hair! loads of compliments... would recommend you buy this product! Review: great customer service fast shipping,will buy soon. Review: I love my new hair! it feels soo good! the buyer even had it to me a whole week before prom! i will be buying from them again!! Review: When I received this hair I was super excited!! The longer the length the thinner it seems. I haven't Co-Washed the hair or installed yet so I wouldn't be able to have an opinion on having it for a while, but the curl pattern seems same as picture and the hair is extremely soft and no smell. Delivery was fast and I will be ordering from God vendor again. Maybe just purchasing an extra bundle next time. Review: Seller communication is excellent. Very willing to work with buyers. The hair is beautiful and soft. It arrived very quickly. No problems. Now I just need a lace closure to match! Review: Great communication. The hair came out beautiful. So soft even after dying it Took only 2 days after being shipped. I love it, perfect hair for the perfect price! Review: I made a u part wig out of this weave, then I bleached and colored the ends brown. Even with a few cut tracks, I have no shedding. Very light tangling, nothing major at all. I have three bundles, and it's very FULL ! I love it, perfect hair for the perfect price! Review: I love the hair and I would order again. I would recommend this vendor to anyone!!! Review: Overall this experience was pleasurable, their was a slight mix up on the order but they were very good with straightening out everything and making it right. I will definitely order from this company again. The hair is beautiful and the pattern was definitely on point. I would recommend this vendor to anyone!!! Hair very soft!! Love it!! Review: Hair very soft!! Love it!! Review: The hair came in about three days. The curls are just like the picture it's easy to manage as well. I'm so happy with the hair. Mines is also 18' 20'22' and an 18' closure. Review: best hair ever. i only will buy from this seller. the hair are just awsome! Review: I love the hair but I haven't installed it yet that's why I didn't give it 5 stars I got my hair in two days & the communication was great I will definitely be ordering again! Review: Hair looks amazing and it included lashes I cnt wait to install it! Review: Great customer service. Beautiful hair! Delivered within a couple of days! I'll def be ordering from here again. I received so many compliments on my hair! I'm 5'5" and I got the 22,24,24 and it comes down to my waist! Review: Great Customer service and very helpful throughout the whole process. The hair is really soft and true to size if not longer, and the curl pattern is beautiful will leave pics after install. Review: The hair came in a timely fashion and feels very soft! The only reason why I am giving a 4 is because I have not washed the hair yet to see how it does once it's in its natural state. I will update review once I have washed the hair and installed it. Review: Customer Service was Greattttttt! I've only had hair sewn in for almost 2 weeks, and it is holding up extremely well. There is minimal shedding, and tangling...I wear hair w/ the original curl pattern, and never apply heat to curl or straighten. So far so good...I'n happy with quality overall! Review: Lyn was absolutely wonderful! He made sure I received my order promptly and efficiently! 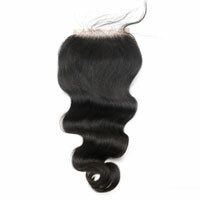 The hair is good quality and the closure was good too. The packaging was great and I am completely satisfied with the customer service I received. Thank you Lyn! I will definitely order from you again in the future! Review: I really like the shopping experience and I got my product before the estimated date of delivery. Review: I love the hair!! 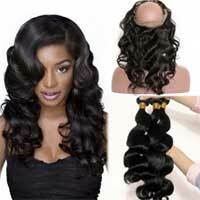 !Bundles were full, minimal shedding and small tangles but that is to be expected with curly hair . Shipping was fast! Review: This time good hair and good price. Wish the seller would be consistent and always sell to me at this price instead of going up and down on prices and giving me the manager-said-so story. Then I could just order from him only if his prices were always fair! 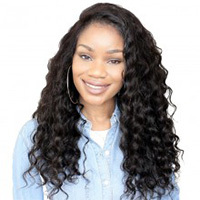 Review: The shipping is very fast.I love the hair,it's so soft .It nearly do not tangle or shedding.It curls good and straighten very well.Lyn is a very nice person and will make sure his customers are happy.I'm very satisfied with the hair.I'll order from him again. Review: I ordered six bundies, all true to length, no weird scent, hair was not dry. so far minimal shedding and tangling for curly hair. I flat ironed a portion of the hair and it curled right back up. Every thing was fast. I even got it one day earlier than DHL predicted and Monday was a holiday. It took like 3 business days all together for me to get it. 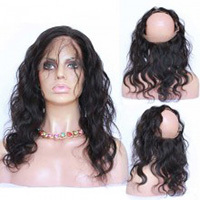 Review: Customer has not had the hair installed yet, so I will update once she gives me feedback. I have ordered here many times and no complaints from previous orders. Shopping is fast great customer service. 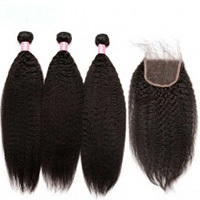 Hair looks just like the pictures very soft and no shedding while washing. Review: The hair is soft and blends well with natural hair, great hair for my natural sisters. It barely sheds.The customer service was excellent. Review: Hair arrvied so fast.Very nice texture and it's soft.The customer service is great.They answered all of my questions quickly and honestly.Would order from this company again. Review: I do not usually leave reviews, but I love, love, love everything about this unit I just received. The shipping was super fast (3 days to Connecticut from China, nice). No shedding. Great virgin hair. I have purchased from multiple expensive vendors in the past and have had mixed results. I am so happy I found this vendor. Will upload a photo soon. Review: I am soooooooo very pleased with my purchase, the quality is excellent.I really like the texture,it's so soft I have no complaints and I will be ordering from you again soon. thank you so much! Customer service is excellent,Lyn is amazing!!!! Review: This is my fourth time purchasing from here, the hair came fast and looks amazing. They never let me down. Review: Very fast delivery. Excellent customer service. Thanks.